Widder Curry does more than blog here at the OB Rag and at the San Diego Free Press. She also is a wonderful chef and writer of cookbooks. Here are three of Widder Curry’s ‘end-of-summer’ recipes for your enjoyment. Judi is currently publishing her third cookbook – all recipes created in her southern Ocean Beach home. In a skillet, saute onion and green pepper in oil until tender. (3-5 minutes). Stir in the sausage, tomatoes, water, sugar and seasonings. Bring to a boil for 2-3 minutes; add rice. Cover and cook for 5 minutes until the rice is tender. Serve with a green salad. Mix the cream cheese dressing mix and mayo together. Spread a thin layer on the rounds, and top with a slice of cucumber. Sprinkle with dill. Makes about 15-20 servings. 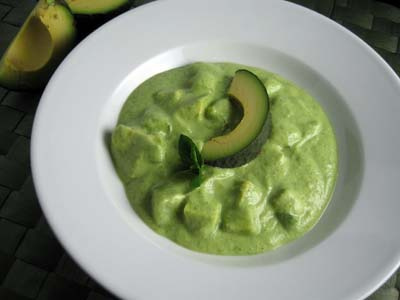 In blender combine 4 roughly chopped cucumbers, the avocado, 1 -2 lemons to taste, and salt and pepper. Blend well. Dice remaining cucumber and mix with chopped mint, salt and pepper. Add yogurt if desired. Pour soup into small bowls and top with cucumber-mint mixture. Serves 4-6.
nice work judi. 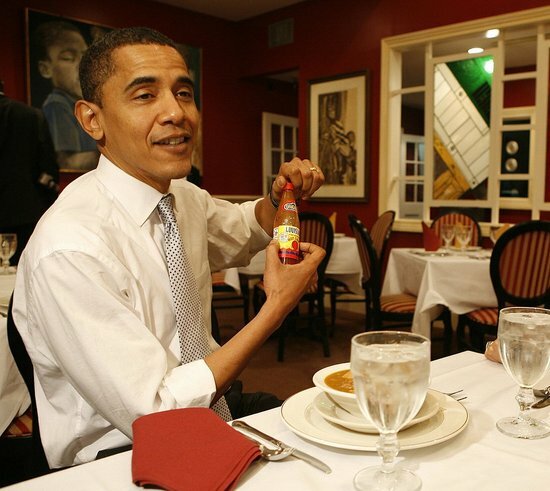 president obama looks stoned in that pic – what was in that soup? He was eating some of Judi’s scrumptious grub, and that’s how good it is. 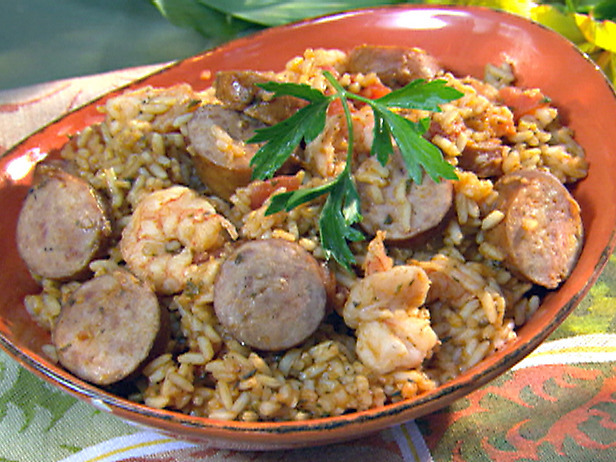 Judi, for your jambalaya, how important is it to have instant rice? I usually cook with jasmine uncooked rice.